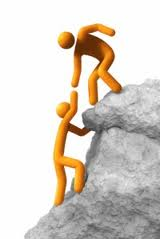 ISQEM have always been very active in sharing valuable insights to the world of safety management. Having just visited their website I come across 2 papers concerning Strategic Safety management. All I can say is great job ISQEM, you have managed to explain the principals and philosophy behind corporate business strategy. What I like about these articles is the way they have been written in simple to understand chunks of information. They have managed to explain the 3 levels of strategic management which I’m sure many people was not aware existed. By analysing this info anyone can take this and put into real operational practice. ISQEM are going to be issuing a third article in this a trilogy of documents. So make sure that you keep an eye on them as they continue to impress the safety profession. 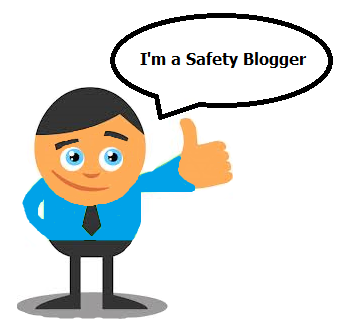 Nowadays anybody can establish and run a safety blog on the internet. There has definitely been an increase over the last 3 to 5 years for businesses and private bloggers to use the internet to promote themselves, share experiences, and build relationships. But what exactly makes an interesting safety blog post? Let us take a look at some general aspects that will help people make a great blog post. Now we all know that originality is the holy grail of blogging and in safety blogs that is without doubt the most important aspect of any post. It is evident that everyone needs to read up and research a topic before posting content in a blog. Although a very informal tone is often used for writing safety blogs, one still needs to ensure that the posts are professional written and based on good safety research or personal work based experiences. Remember the main reasons people visit safety blogs is to learn new techniques or explore different approaches to managing health and safety. We have all heard it many times that content is King. Your blog site depends on readers returning and promoting your site for you, so every effort should be made to make the safety post as interesting and engaging as possible. When it comes to blog subjects it’s best to keep off any controversy, especially the political, religious or moral subject matters. Remember we are talking about safety blogs so no need to wind people up or make personal attacks. Blogs can be written in any language but still the most common used language on the Internet and in the business world remains English. Therefore, the emphasis is not in terms of which language is suitable for writing the safety blog but rather in terms of the grammar, spelling and use of simple English words. Remember 400 – 700 words are ideal for a blog posting. The heart and soul of a safety blog comes down to the way it is presented. It is important to attract your readers and keep their attention. The first thing they will notice is you post title, so make sure it is an attention grabber. Also in order to make a good presentation the post should be readable and therefore using the right font style and size is vital. In addition consider the use of safety graphics or images which can help emphasize the topic of the post. Make sure that any posts you submit to sites are written in your own words, as plagiarism is always frowned upon. If you do use someone else’s comments or blog posting always make sure that you give reference and links back to the original author. We have to accept that many managers are uncomfortable in social work situations and naturally avoid safety communication with their employees, especially when the communication is on a subject which is unfamiliar or confrontational. We have to assist the people who may struggle to communicate with employees and make sure they are trained and supported and given the right tools for safety communication. The health and safety of today’s organizations especially during a struggling economic environment depends on the widespread dissemination of OHS information. 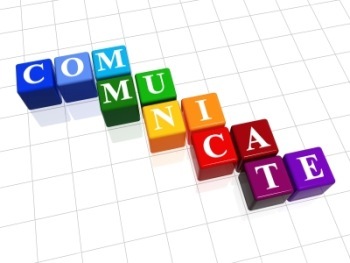 Although most employees are fine with emails or newsletters, some of your employees may need to have more verbal communication. The upside to verbal communication is that it is a two-way process allowing for a more open and focused discussion and sharing of safety information, but you also hear what they have to say. Safety communication must be structured and incorporated into daily work activities and it must be factual and precise to make sure the message is accepted by everyone. During my travels I’m often asked the question “how can someone reach the top in our profession and be recognised as a leader of OHS”. I have listed below the top ten things that I recommend to people who either work for me, or I have mentored. 1. Think outside of the box and challenge normal ways of doing EHS. 2. 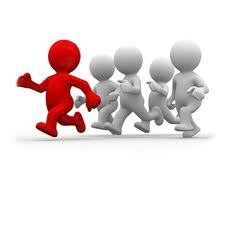 Make sure you do not stagnate in one industry sector, be diverse and learn. 3. Think, act and talk like a businessman as well as an EHS professional. 4. Learn skills such as marketing, Public Relations, HR and finance. 5. Create your own personal image to reflect what you want to achieve. 6. Network at the right levels of the profession. 7. Visibility, get known locally and internationally. 8. Keep your knowledge up to date with latest trends, good and bad ones. 10. Always remember it takes a team to really make a success, so never claim you did it all yourself. I know we can add all types of other attributes and values we need to adopt such as, communication, trust, respect, integrity, sensitivity etc., what people need to do is look at how they are perceived by others. One of the main problems I have come across for people failing to progress in this industry is that they are out of date with business needs and the commercial world. 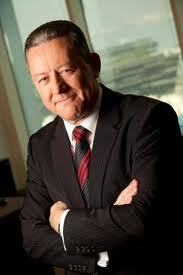 In today economic climate OHS professionals need to bring true business added value to their organisation. Make sure you join ISQEM and be part of a growing international professional body that is both dynamic and inspirational.